According to a new report in The Wall Street Journal, nearly all of the most popular apps on Facebook—including Farmville, Causes, and Quiz Planet—have been sharing users' information with advertising and tracking companies. Here's how to stop them. The problem, reports the Journal's Emily Steele, is that the Facebook apps were—possibly inadvertently—revealing the addresses of users' Facebook pages, which contain the users' unique Facebook IDs, and in some cases, their names. 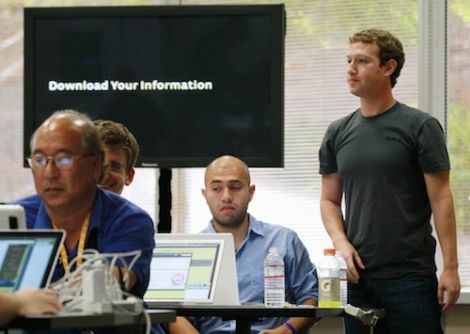 The information being transmitted is one of Facebook's basic building blocks: the unique "Facebook ID" number assigned to every user on the site. 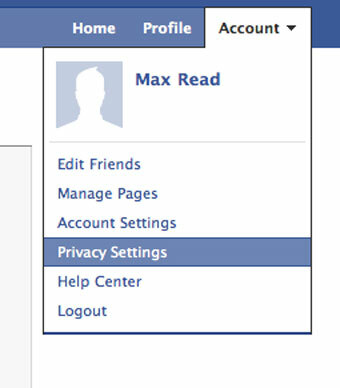 Since a Facebook user ID is a public part of any Facebook profile, anyone can use an ID number to look up a person's name, using a standard Web browser, even if that person has set all of his or her Facebook information to be private. 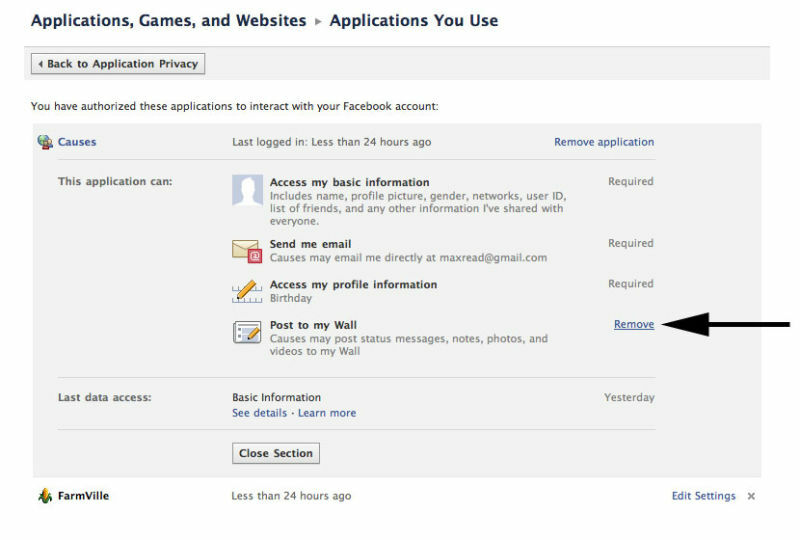 For other users, the Facebook ID reveals information they have set to share with "everyone," including age, residence, occupation and photos. It's not just your apps, either—it's possible that your Facebook friends were sharing some of your information through the apps they were using. The breach is similar to one from earlier this year, over which Facebook is currently facing a lawsuit. According to the Journal's investigation, some of the apps ("Gift Creator" and "Quiz Creator" to name two) were giving out these user IDs to a company called RapLeaf, which specializes in "compil[ing] and sell[ing] profiles of individuals based in part on their online activities." 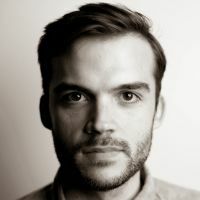 RapLeaf apparently linked the ID numbers it obtained from those applications to "dossiers" it already had in its system, and transmitted those IDs "to a dozen other advertising and data firms, including Google Inc.'s Invite Media." What a brave new world, right? Well, here's how to stop this from happening—or, at the very least, limit your exposure. We've arranged these in order from "most guaranteed to protect your privacy" to "well, at least you tried." There's only one way to ensure protection against apps sharing your information: Turn them off entirely. Think about it: What apps do you use? How frequently do you use them? Do you really need them? Farmville? Seriously? Most Facebook apps are a waste of your time and don't enhance your use of the site at all. So turn them off. Step 1. 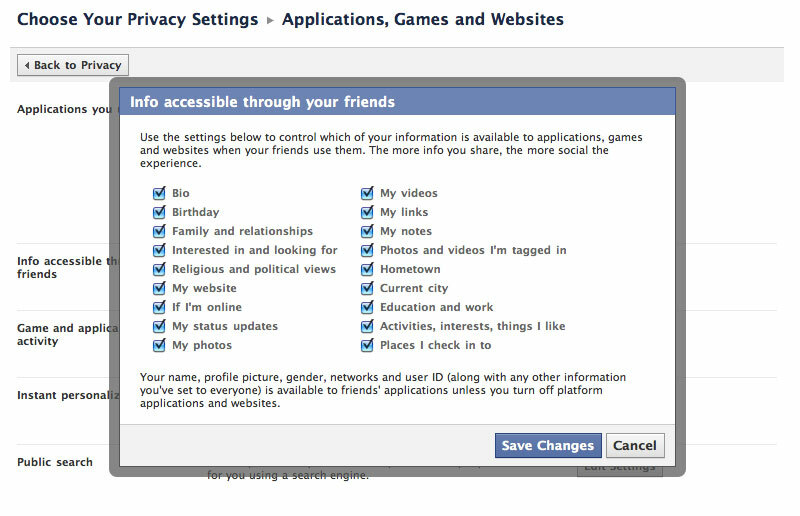 From the menu in the upper right corner, go to "Privacy settings." Step 2. 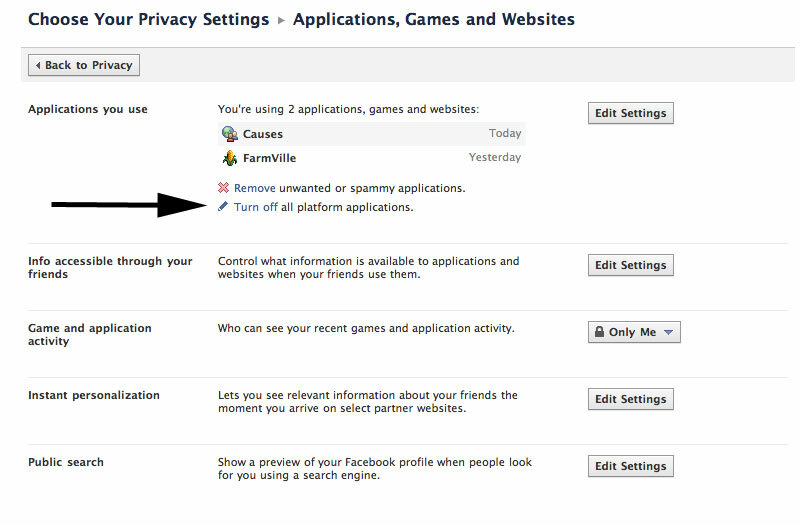 In the lower left corner of the privacy settings page you'll find a link that lets you edit your settings for applications and websites. Click it. Step 3. 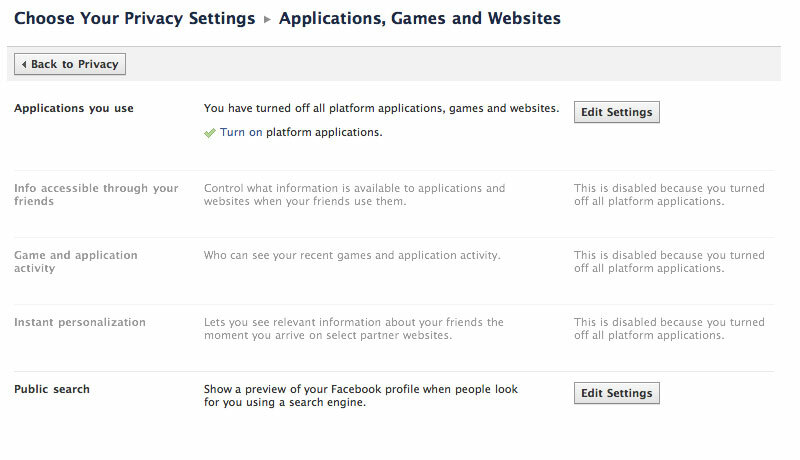 Once you've gotten to the applications and websites privacy page, you'll see an option to turn off platform applications. Click it. Step 4. Click the box that says "Select all" in order to select all applications. Then it "Turn off platform." Step 5. Your screen should look like this. Your work here is done! Now, go play outside. Of course, turning off apps also turns off the Facebook platform, the fancy thing that lets you "like" articles and websites (like this very one! ), so you may not want to shut them off entirely, and settle for removing all of your apps manually. This ensures that you don't have any apps sharing your information, but you can still help out your favorite bloggers by recommending their articles, hint, hint. Step 1. From the applications and websites privacy page, follow the link to "Remove unwanted or spammy applications." Step 2. This will bring up a page with a list of your applications. To remove individual applications, click on the "X" to the right of the application's name. Step 3. Go on, you can do it. Feels good, doesn't it? Okay, but: Even if you don't have any apps "installed," your friends could still be sharing information inadvertently through their apps. 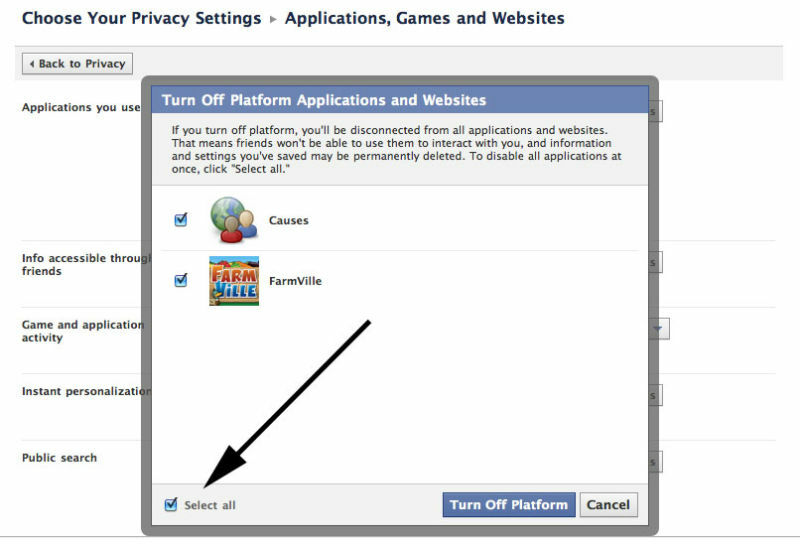 Now, you can't actually stop your aunt from playing Farmville, unfortunately. But you can limit your exposure to your aunt's Farmville app. Step 1. 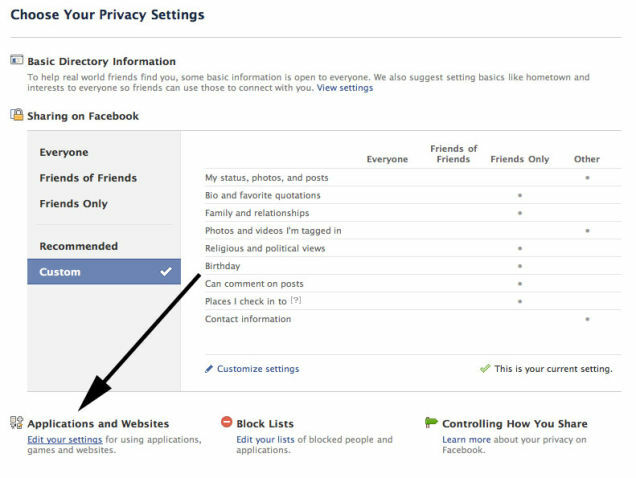 From the applications and websites privacy page, click the "Edit settings" button next to "Info accessible through your friends." Step 2. Whoa! You see all those checkboxes? That's the stuff that your friends' apps can share. "The more you share, the more social the experience," Facebook cheerfully reminds you. Uh huh. Uncheck all the boxes and hit "Save changes." So you're hopelessly attached to an application and need to keep it installed. 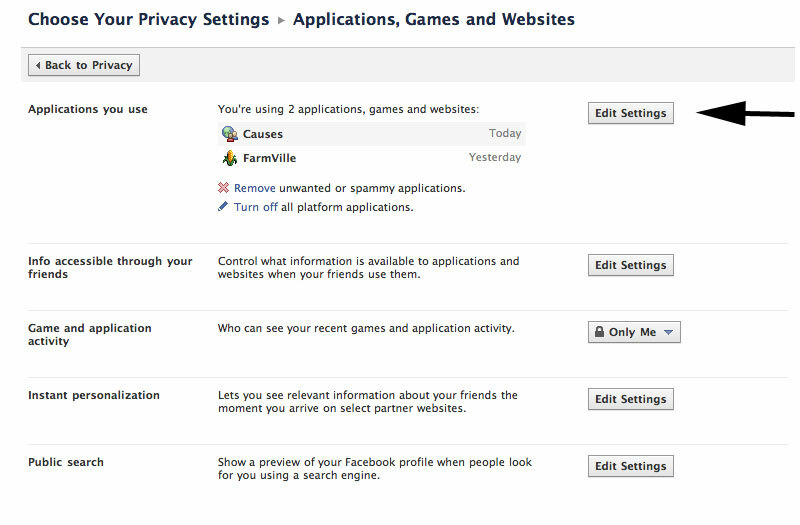 If you're lucky, it may have customizable settings that will help you limit what that app is allowed to see or share. Some of the most popular apps—Farmville and Texas Hold 'Em, for example—don't give you any options: You're required to share everything they need, or you can't use the application. Causes, on the other hand, allows a limited amount of tweaking. Step 1. 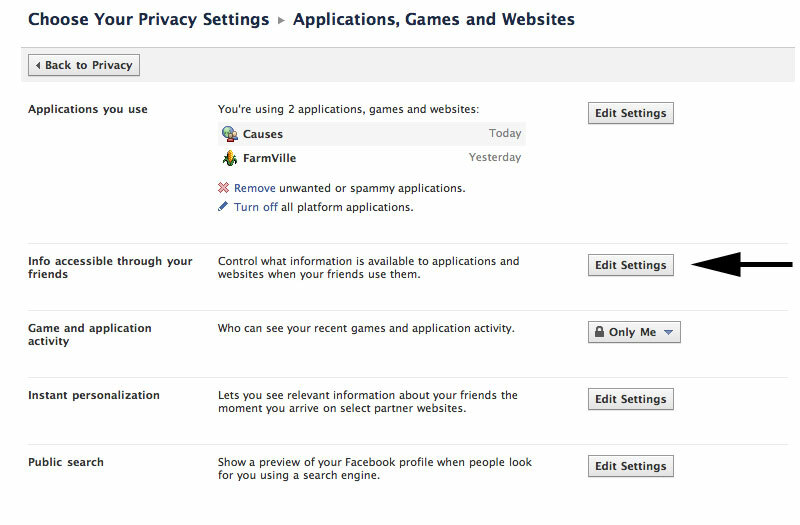 From the applications and websites privacy page, hit the "Edit settings" button next to "Applications you use." Step 2. Click the "Edit settings" link for the application you'd like to tweak. Step 3. From the list of things the application is allowed to do, find the items you can remove. Hit the "Remove" link to remove them. Anything "Required"—i.e. if you don't let the application do this thing, you can't use it—will be greyed out.